September 2018 San Dieguito Lagoon Bird Survey Results – 4 NEW SPECIES! Home » Lagoon » September 2018 San Dieguito Lagoon Bird Survey Results – 4 NEW SPECIES! The San Dieguito Monthly Bird Count identified 92 species in September. This includes 4 new bird species for the count- Black-chinned Hummingbird, Ruddy Turnstone, Black Turnstone, and Purple Martin- which brings the cumulative species total up to 242! Click here for the PDF document with the detailed monthly results through September 2018. 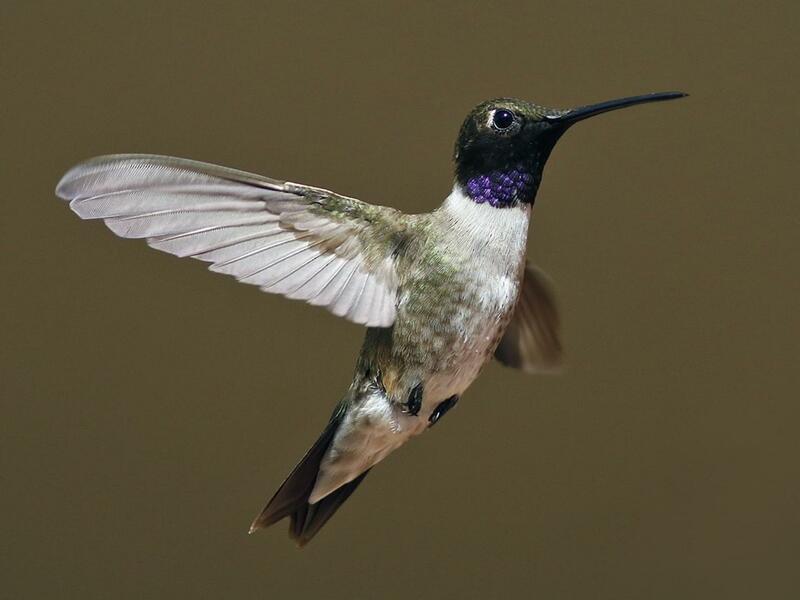 While this is the first time the Black-chinned Hummingbird has been seen during the San Dieguito Lagoon bird surveys, it has been seen a few times in San Pasqual Valley during the Palomar Audubon Society bird walks. San Diego County is within its breeding and migration range. Photo by Bill Maynard. 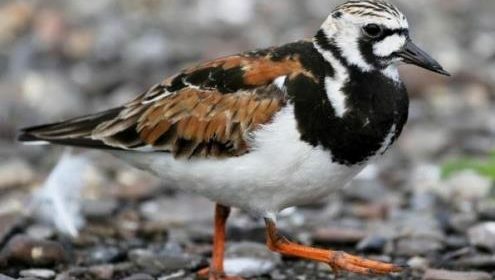 Bird count leader Jayne Lesley reported that the Ruddy and Black Turnstones were spotted on the beach, which makes sense because both species breed in the arctic and spend the non-breeding seasons along rocky coasts and sandy beaches, with Ruddy Turnstones having a broader range. Featured photo of Ruddy Turnstone by Jay McGowan. 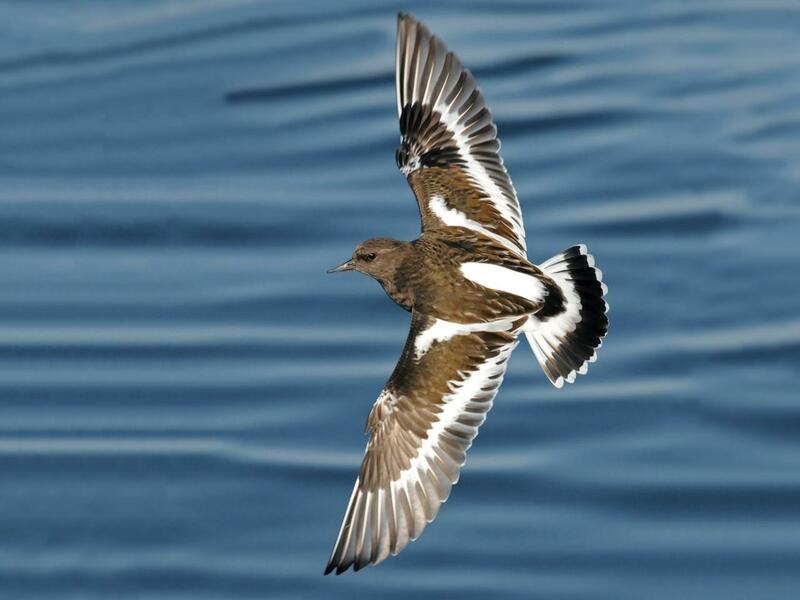 Photo of Black Turnstone by Steven Mlodinow. Jayne Lesley also reported, “2 small flocks of Purple Martins flying south,” which makes sense because they breed in the U.S. and spend winter in South America. 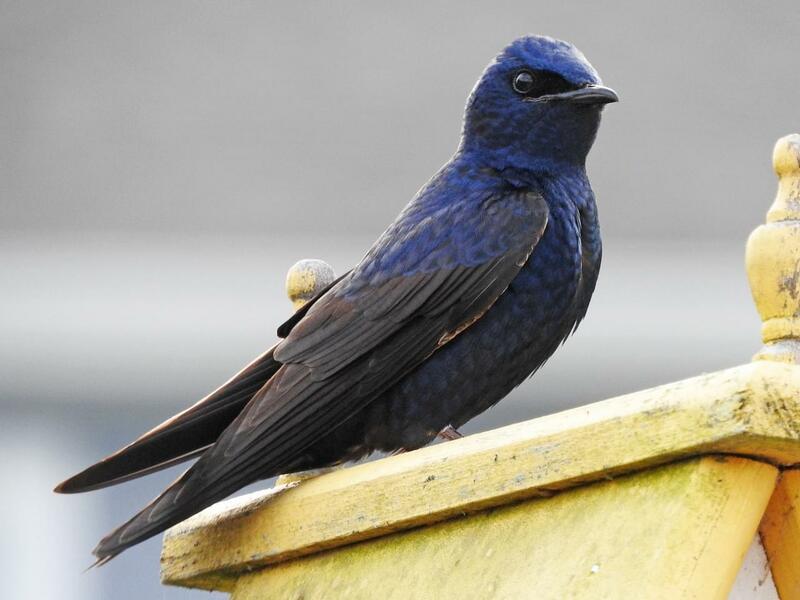 Purple Martins are North America’s largest swallows. Photo by Alan MacEachren. All of the photos and information can be found at The Cornell Lab of Ornithology All About Birds website. Click here for more information about the San Dieguito Lagoon Bird Surveys.